We went to see our good friend’s improvisational theatre group Häpeämättömät performing at Dubrovnik last night. A great show once again, much better venue too than the previous one. A set of images from the show will be posted as soon as possible (wifey brought her camera along too so I’m pretty sure we got all angles covered). 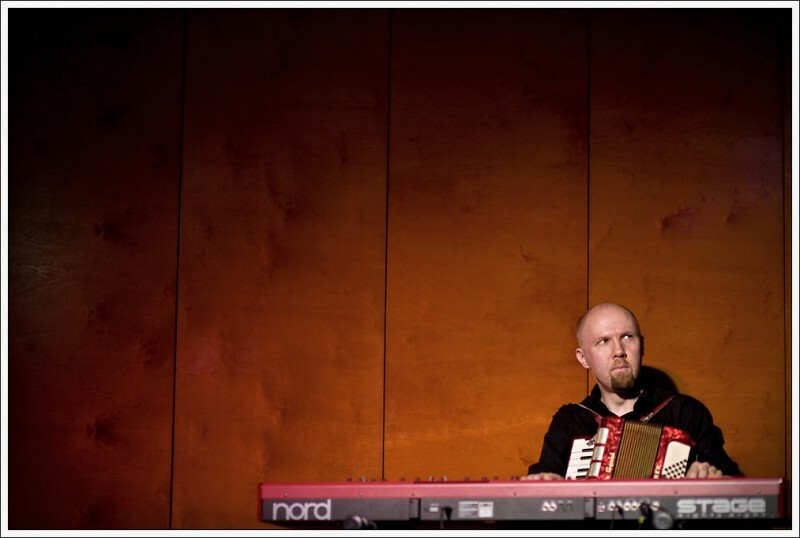 The dude in this pic is the group’s very talented multi-instrumentalist Juha Kujanpää.